Wolf Commercial Real Estate, a premier Southern New Jersey commercial real estate broker with expertise in South Jersey commercial real estate listings and services, is pleased to offer leasing opportunities for well-located South Jersey office space for lease at 222 Haddon Avenue Westmont NJ. Space is currently available on two floors of this Southern New Jersey office space for lease at 222 Haddon Avenue Westmont NJ. The building containing this Westmont office space for lease is a three-story, multi-tenant facility. This South Jersey office building for lease offers a unique opportunity for tenants to secure professional office space in Westmont at highly advantageous rates. There are +/- 4,000 to 12,000 square feet of professional office space in Westmont available in this South Jersey office building for lease. While the second floor of this Southern New Jersey office space for lease is immediately available, an occupancy timetable for the first floor is negotiable. In addition, the first floor of this professional office space in South Jersey can be used for either office or retail operations. The asking lease price of the first floor of this professional office space in South Jersey is $20.00/sf NNN while the asking lease price of the second floor of this Westmont office building for lease is $20.00/sf Gross + utilities and janitorial. This South Jersey office space for lease at 222 Haddon Avenue Westmont NJ is represented by Wolf Commercial Real Estate, a Southern New Jersey commercial real estate brokerage firm that specializes in South Jersey commercial real estate listings and services. This Westmont office building for lease is under new ownership and management and this professional office space in Westmont is less than one block from the Westmont PATCO High-Speed Line station. In addition, this South Jersey office building for lease is in close proximity to Philadelphia as well as routes 38, 70 and 130. This professional office space in South Jersey provides tenants with building signage at the intersection of Haddon Avenue and Crystal Lake Avenue and parking is ample at this Westmont office space for lease. Tenancy at this Southern New Jersey office space for lease at 222 Haddon Avenue Westmont NJ can be secured through Wolf Commercial Real Estate, a Southern New Jersey commercial real estate broker with expertise in South Jersey commercial real estate listings and services. The average household income in a five-mile radius of this Westmont office space for lease is more than $74,000 a year. More than 331,000 people reside within that same radius of this Westmont office building for lease. For more information about this South Jersey office space for lease at 222 Haddon Avenue Westmont NJ, or about any other South Jersey commercial properties for sale or lease, please contact Christopher Henderson (856-857-6337; chris.henderson@wolfcre.com) or Jason Wolf (856-857-6301; jason.wolf@wolfcre.com) at Wolf Commercial Real Estate, a leading Southern New Jersey commercial real estate brokerage firm. Wolf Commercial Real Estate, the leading South Jersey commercial real estate brokerage firm that specializes in South Jersey commercial real estate listings and services, is offering premier South Jersey office space for lease at 771 Cuthbert Road Four Executive Campus Cherry Hill NJ. This South Jersey professional office space for lease has on-site management at this South Jersey office building for lease. This South Jersey professional office space for lease also is under new management. The asking lease price of this professional office space in South Jersey is $12.00-414.00/sf plus electric. This South Jersey professional office space for lease is available for immediate occupancy. This South Jersey professional office space for lease is being offered through Wolf Commercial Real Estate, a South Jersey commercial real estate broker with expertise in South Jersey commercial real estate listings and services. This South Jersey office space for lease at 771 Cuthbert Road Four Executive Campus Cherry Hill NJ has +/- 3,250 sf-11,626 sf of contiguous and divisible space available on the first floor. This professional office space in South Jersey also has +/- 10,079 sf of divisible space on the second floor. As an ideal corporate headquarters opportunity, this South Jersey office space for lease has building amenities that include two entrances along with street level access and a covered parking area. In addition, this South Jersey professional office space for lease has had recent renovations and capital upgrades. This South Jersey office space for lease at 771 Cuthbert Road Four Executive Campus Cherry Hill NJ provides easy access to routes 70, 38, I-295, the New Jersey Turnpike and the Benjamin Franklin Bridge. Parking is plentiful at this South Jersey office space for lease, with a ratio of 4.5/1,000 sf. Monument and building signage also is provided to tenants at this South Jersey professional office building for lease through Wolf Commercial Real Estate, a South Jersey commercial real estate brokerage firm with expertise in South Jersey commercial real estate listings and services. 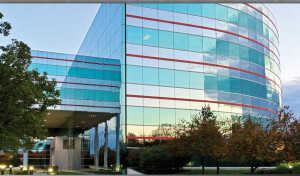 More than 335,000 people reside within a five-mile radius of this professional office space in South Jersey. The average household income in the same geographic area near this South Jersey professional office space for lease is $72,420. For more information about this South Jersey office space for lease at 771 Cuthbert Road Four Executive Campus Cherry Hill NJ or about any other South Jersey commercial properties for lease, please contact Christopher Henderson (856-857-6337; chris.henderson@wolfcre.com) or Jason Wolf (856-857-6301; jason.wolf@wolfcre.com) at Wolf Commercial Real Estate, a South Jersey commercial real estate broker that specializes in South Jersey commercial real estate listings and services. Wolf Commercial Real Estate, a South Jersey commercial real estate broker with expertise in South Jersey commercial real estate listings and services, is offering well-located office space for lease in South Jersey in three customized office suites at 532 Fellowship Road Mount Laurel NJ. Suite 1 of this South Jersey office space for lease provides 2,751 square feet, Suite 2 offers 2,645 square feet while Suite 3 provides 2,571 square feet. Suites 1-3 are contiguous for a total of 8,625 square feet and, in addition, Suite 3 of this office space for lease in South Jersey features a theatre-style conference room. The asking lease price for this office space for lease in South Jersey at 532 Fellowship Road Mount Laurel NJ is $12.00 per square foot NNN. This South Jersey office space for lease is available for immediate occupancy from Wolf Commercial Real Estate, the foremost South Jersey commercial real estate brokerage firm that specializes in South Jersey commercial real estate listings and services. This office space for lease in South Jersey at 532 Fellowship Road Mount Laurel NJ is adjacent to Aloft South Jersey Hotel, Miller’s Ale House and Starbucks. It also is surrounded by an abundance of hotels, restaurants, retailers and banking locations. The location of this South Jersey office space for lease allows for easy access to Routes 73, I-295 and the New Jersey Turnpike. This office space for lease in South Jersey is locally owned and managed and provides tenants both suite and monument signage. This South Jersey office space for lease at 532 Fellowship Road Mount Laurel NJ is available through Wolf Commercial Real Estate, a South Jersey commercial real estate broker with expertise in South Jersey commercial real estate listings and services. 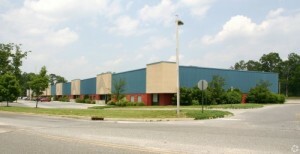 On average, more than 46,000 vehicles per day drive through the intersection of Route 73 and Fellowship Road near this office space for lease in South Jersey. Parking is plentiful at a ratio of 9/1,000 sf at this South Jersey office space for lease. More than 180,000 individuals live within a five-mile radius. For more information about this South Jersey office space for lease at 532 Fellowship Road Mount Laurel NJ, or about any other South Jersey commercial properties for sale or lease, please contact Jason Wolf (856-857-6301; jason.wolf@wolfcre.com) or Christopher Henderson (856-857-6337; chris.henderson@wolfcre.com) at Wolf Commercial Real Estate, the leading South Jersey commercial real estate brokerage firm. Wolf Commercial Real Estate, a premier Southern New Jersey commercial real estate broker with expertise in South Jersey commercial real estate listings and services, is pleased to offer leasing opportunities for well-located South Jersey office space for lease in the Grove Office Plaza at 515 Grove Street Haddon Heights NJ. This South Jersey office building for lease offers a unique opportunity for tenants to secure professional office space in Haddon Heights at highly advantageous rates with a special promotion that provides six months of free rent with a minimum five-year lease. There are fours suites currently available in this Southern New Jersey office space for lease in the Grove Office Plaza at 515 Grove Street Haddon Heights NJ, ranging in size from 1,050 square feet to 4,670 square feet of Haddon Heights office space for lease. There is one unit featuring 2,800 square feet of professional office space in Haddon Heights on the first floor of this South Jersey office building for lease. Three additional suites of professional office space in South Jersey are located on the third floor of this Haddon Heights office building for lease, providing 1,050 square feet, 1,945 square feet and 4,670 square feet of Southern New Jersey office space for lease. The asking lease price of this professional office space in South Jersey is $15.50/sf gross plus utilities and janitorial service. 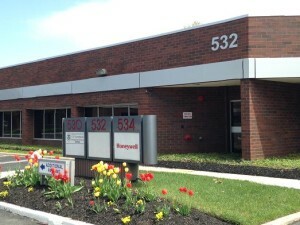 This South Jersey office space for lease in the Grove Office Plaza at 515 Grove Street Haddon Heights NJ is available for immediate occupancy through Wolf Commercial Real Estate, a Southern New Jersey commercial real estate brokerage firm that specializes in South Jersey commercial real estate listings and services. This Haddon Heights office building for lease is perfect for any professional or medical user. This professional office space in Haddon Heights is an affordable, mid-rise office building that is located immediately off Exit 29 of I-295, providing convenient north-south access. Public transportation is available along Route 30 (the White Horse Pike) near this South Jersey office building for lease. This professional office space in South Jersey provides tenants with monument/tenant directory signage at the intersection of Route 30 and Grove Street. At a ratio of 4/1,000 sf, parking is plentiful at this Haddon Heights office space for lease. This Southern New Jersey office space for lease in the Grove Office Plaza at 515 Grove Street Haddon Heights NJ is now available for immediate lease through Wolf Commercial Real Estate, a Southern New Jersey commercial real estate broker with expertise in South Jersey commercial real estate listings and services. On a average daily basis, more than 33,000 vehicles drive on the White Hose Pike, passing by this Haddon Heights office space for lease. Close to 120,000 people reside within a three-mile radius of this Haddon Heights office building for lease. For more information about this South Jersey office space for lease in the Grove Office Plaza at 515 Grove Street Haddon Heights NJ, or about any other South Jersey commercial properties for sale or lease, please contact Jason Wolf (856-857-6301; jason.wolf@wolfcre.com) at Wolf Commercial Real Estate, a leading Southern New Jersey commercial real estate brokerage firm. Wolf Commercial Real Estate, a leading Southern New Jersey commercial real estate brokerage firm with expertise in South Jersey commercial real estate listings and services, now is offering opportunities for South Jersey office space for lease in the Cross Keys Campus at 110 American Boulevard Turnersville NJ. There is between 2,700-9,000 square feet of divisible office/flex space in South Jersey at this Southern New Jersey office space for lease. This office space in South Jersey is in a well-established retail/flex/office location. The asking lease price for this office/flex space in South Jersey in the Cross Keys Campus at 110 American Boulevard Turnersville NJ is $8.50/sf NNN. This South Jersey office/flex space for lease is being offered for immediate occupancy through Wolf Commercial Real Estate, a Southern New Jersey commercial real estate broker that specializes in South Jersey commercial real estate listings and services. This Southern New Jersey office/flex space for lease features 20-foot-high ceilings. Both monument and suite signage is available to tenants at this Southern New Jersey office space for lease. This office space in South Jersey is well suited for a wide array of office and flex uses. The South Jersey office/flex space for lease at 110 American Boulevard Turnersville NJ is conveniently accessible from several of the area’s major highways. This South Jersey office space for lease sits just 1 ½ miles from an Atlantic City Expressway Interchange and is in close proximity to both Route 42 and Route 55. Numerous major retailers and other amenities are situated in the area immediately surrounding this Southern New Jersey office/flex space for lease. This office/flex space in South Jersey in the Cross Keys Campus is now available from Wolf Commercial Real Estate, a Southern New Jersey commercial real estate brokerage firm with expertise in South Jersey commercial real estate listings and services. At ratio of 6/1,000 SF, this is ample parking at this Southern New Jersey office space for lease. 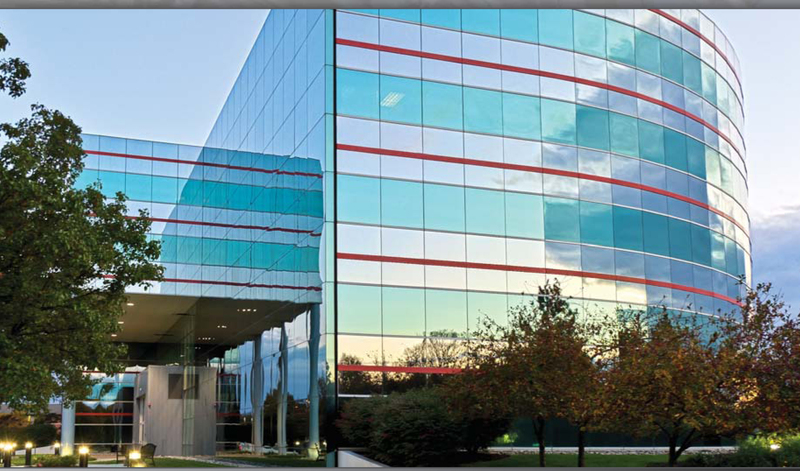 Nearly 151,000 residents live within five miles of this office space in South Jersey. The average household income in the same area five-mile radius of this South Jersey office/flex space for lease is $88,641. For more information about this South Jersey office space for lease in the Cross Keys Campus at 110 American Boulevard Turnersville NJ, about any other Southern New Jersey office/flex space for lease or about any South Jersey commercial properties for sale or lease, please contact Christopher Henderson (856-857-6337; chris.henderson@wolfcre.com) or Jason Wolf (856-857-6301; jason.wolf@wolfcre.com) at Wolf Commercial Real Estate, the foremost a Southern New Jersey commercial real estate broker. The U.S. and South Jersey office space market marked 2015 as their best year for sales since 2007’s pre-recession peak. Thanks in part to higher demand and restricted levels of construction that contributed to tightening space availability in metro areas across the U.S., net absorption for U.S. office space exceeded 100 million square feet for the first time since the Great Recession and the U.S. office vacancy rate dropped another half-percentage point at year-end 2015. The downward slide in the U.S. office vacancy rate, which includes the Southern New Jersey office space vacancy rate, continued in 2015, dropping to 10.8% from 11.3% in 2014 and 13.2% at the worst point during the economic downturn, according to the CoStar Group’s recent State of the U.S. Office Market 2015 Review and Forecast. CoStar’s economists said 64% of U.S. office submarkets and 56% of metro office markets experienced a drop in vacancies during fourth quarter 2015, and predicted the vacancy rate would maintain the downward trend in 2016, hitting around 10% in 2017. Investment market were red hot in 2015, CoStar said, with preliminary office asset sales jumping almost 18% to $152 billion. In 2015, the office market shifted away from technology- and energy-driven metros that fueled the economic recovery and expansion and toward markets hit by the Great Recession’s housing bust. This shift was illustrated by the large annual vacancy improvements registered in Atlanta, Miami and Nashville, all of which outperformed San Francisco, Seattle and Boston. San Francisco’s office vacancy rate declines appeared to be slowing in the final quarter 2015 with new office supply delivered to the market, CoStar said. As expected, Silicon Valley markets saw the strongest annual occupancy gains. But the 2015 shift away from higher occupancies in markets driven by energy or technology meant big-tenant markets like Atlanta and Dallas performed well. Eight of the 13 markets with the highest year-over-year occupancy improvements came from markets that were not driven by energy or technology, the CoStar economists reported. Lower prices at the pumps put money in consumers pockets, but certain geographical areas and parts of the economy saw increasing pressure from the declining energy prices, their effect on the stock market, and global economic instability, CoStar reported. The S&P 500 is down about 11% from its May 2015 high as the result of, in part, weakness in energy-related stocks and a decline of more than 10% in technology stocks. The tech market continues to be among the nation’s most turbulent, according to CoStar, adding that markets in San Jose, San Francisco, Boston, Raleigh, Austin and Seattle are waiting to see how lower private and public market valuations will influence hiring. Both Apple and Samsung Electronics are among the big companies that have predicted a tech slowdown in 2016, citing global economic volatility and declining demand as the reasons for the glum forecast. Yahoo plans to slash its workforce another 15%, by 1,700 jobs; discard surplus real estate; close five global offices; and look at “strategic alternatives” that could result in the company selling or spinning off its core search engine and web portal business, the CoStar review and forecast said. Yahoo in December started marketing a 48-acre tract near Levi Stadium in Santa Clara that the company had intended to use for expansion. In spite of the expected slowdown in the energy and technology sectors, 2015’s continuing strong momentum in the U.S. office space market and the overall U.S. commercial real estate market, including the Southern New Jersey office space market, is forecast to go solidly into 2016, CoStar said. Annual net absorption of U.S. office space stood at 101 million square feet at year-end 2015, up from 93 million square feet in 2014. CoStar reported that 64 million square feet of U.S. office space was delivered last year, 41% more than in 2014. New office space under construction rose a modest 7% for 2015 after two quarters of declines. Annual rent growth exceeded 2014’s 3.8% growth and stood at 4.4% at year-end 2015, the CoStar economist said. Rents were strong in CBDs, including San Francisco at 19.4% and Raleigh, NC at 13.9%. Even urban core rents in Atlanta and Detroit rose, up 11.2% and 10.5%, respectively. For more information about South Jersey office space or other South Jersey commercial properties, please contact Jason Wolf (856-857-6301; jason.wolf@wolfcre.com), Scott Seligman (856-857-6305; scott.seligman@wolfcre.com) or Christopher Henderson (856-857-6337; chris.henderson@wolfcre.com) at Wolf Commercial Real Estate, the foremost South Jersey commercial real estate broker that specializes in Southern New Jersey office space. Wolf Commercial Real Estate is a South Jersey commercial real estate brokerage firm, providing a full range of Southern New Jersey commercial real estate listings and services and marketing commercial offices, medical properties, industrial properties, land properties, retail buildings and other South Jersey commercial properties for buyers, tenants, investors and sellers. Wolf Commercial Real Estate, a South Jersey commercial real estate broker with extensive expertise in Southern New Jersey commercial real estate listings, provides unparalleled expertise in matching companies and individuals seeking new Southern New Jersey office space with the South Jersey commercial properties that best meets their needs. 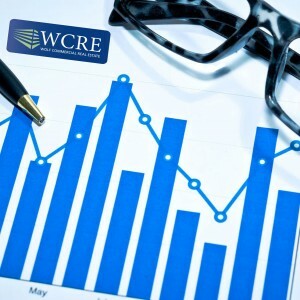 As experts in Southern New Jersey commercial real estate listings and services, the team at our South Jersey commercial real estate brokerage firm provides ongoing detailed information about South Jersey commercial properties to our clients and prospects to help them achieve their real estate goals. If you are looking for South Jersey office space for sale or lease, Wolf Commercial Real Estate is the South Jersey commercial real estate broker you need — a strategic partner who is fully invested in your long-term growth and success. Wolf Commercial Real Estate, a premier Southern New Jersey commercial real estate brokerage firm with expertise in South Jersey commercial real estate listings and services, now has available South Jersey office space for sale or lease at 411 Black Horse Pike Haddon Heights NJ. This two-story Southern New Jersey office space for sale or lease is a great opportunity for an owner occupant. This South Jersey office building for sale or lease at 411 Black Horse Pike Haddon Heights NJ is well suited to a variety of uses. This professional office space in South Jersey offers 10,000 square feet of contiguous Haddon Heights office space for sale or lease. There is 5,000 square feet of South Jersey office space for sale or lease on the first floor of this Haddon Heights office building for sale or lease and another 5,000 square feet of Southern New Jersey office space for sale or lease on the second floor. 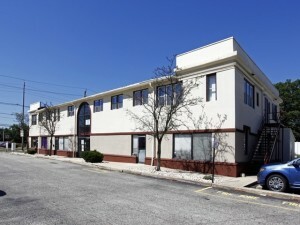 This South Jersey office building for sale or lease at 411 Black Horse Pike Haddon Heights NJ is available for immediate occupancy through Wolf Commercial Real Estate, a Southern New Jersey commercial real estate broker that specializes in South Jersey commercial real estate listings and services. The asking lease price of this professional office space in Haddon Heights is $12.00/sf NNN for the first floor and $10.00/sf NNN for the second floor. The asking sale price for this Haddon Heights office building for sale is $599,000 ($59.90/sf). This professional office space in South Jersey at 411 Black Horse Pike Haddon Heights NJ is a corner property situated along the well-traveled Black Horse Pike. This Haddon Heights office space for sale or lease is located within close proximity to I-295 at Exit 28, providing convenient North-South access. Parking is abundant on site at this South Jersey office building for sale or lease through Wolf Commercial Real Estate, a Southern New Jersey commercial real estate brokerage firm with expertise in South Jersey commercial real estate listings and services. There are numerous amenities in the area near this professional office space in Haddon Heights, including banks, restaurants and retail establishments. Both monument signage and building signage are available at this Southern New Jersey office space for sale or lease. More than 18,500 vehicles per day drive by this Haddon Heights office building for sale or lease at 411 Black Horse Pike Haddon Heights NJ at the intersection of North Black Horse Pike and South Park Avenue. Nearly 298,000 people reside within a five-mile radius of this professional office space in Haddon Heights and more than 123,000 within three miles of this Haddon Heights office space for sale or lease. The average household income within three miles of this professional office space in South Jersey is $58,456. For more information about this South Jersey office space for sale or lease at 411 Black Horse Pike Haddon Heights NJ, or about any other South Jersey commercial properties for sale or lease, please contact Scott Seligman (856-857-6305; scott.seligman@wolfcre.com) or Jason Wolf (856-857-6301; jason.wolf@wolfcre.com) at Wolf Commercial Real Estate, a leading Southern New Jersey commercial real estate broker. Wolf Commercial Real Estate, the foremost South Jersey commercial real estate broker that specializes in Southern New Jersey commercial real estate listings and services, is now offering South Jersey office space for lease in the Grove Office Plaza at 515 Grove Street Haddon Heights NJ. Suites in this South Jersey office building for lease currently are being offered with six months of free rent with a minimum five-year lease. 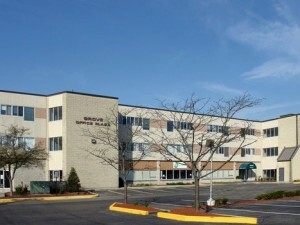 This Southern New Jersey office space for lease is ideal for any professional or medical users. This professional office space in South Jersey at 515 Grove Street Haddon Heights NJ currently has available four suites in sizes ranging from 1,050 square feet to 4,670 square feet of Haddon Heights office space for lease. There is one suite with 2,800 square feet of Southern New Jersey office space for lease on the first floor of this Haddon Heights office building for lease. There are another three suites of professional office space in Haddon Heights available on the third floor of this South Jersey office building for lease. These third-floor suites provide 1,050 square feet, 1,945 square feet and 4,670 square feet of Haddon Heights office space for lease. The asking lease price of this professional office space in Haddon Heights is $15.50/sf gross plus utilities and janitorial service. This Haddon Heights office space for lease in the Grove Office Plaza is available for immediate occupancy through Wolf Commercial Real Estate, a South Jersey commercial real estate brokerage firm with expertise in Southern New Jersey commercial real estate listings and services. This South Jersey office space for lease is an affordable, mid-rise property that is easily accessible from I-295 and Route 30. This South Jersey office building for lease in the Grove Office Plaza at 515 Grove Street Haddon Heights NJ is located immediately off Exit 29 of I-295, providing easy access to points North and South. This Haddon Heights office building for lease also is served by public transportation that runs along nearby Route 30 (the White Horse Pike). There is monument/tenant directory signage for this professional office space in South Jersey at the intersection of Route 30 and Grove Street. Parking is ample at this Southern New Jersey office space for lease, with a ratio of 4/1,000 sf. This professional office space in Haddon Heights is being offered by Wolf Commercial Real Estate, a South Jersey commercial real estate broker with expertise in Southern New Jersey commercial real estate listings and services. 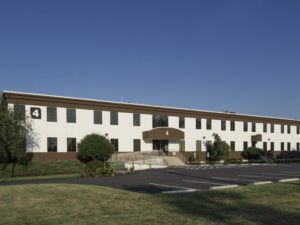 More than 33,000 vehicles pass by this Haddon Heights office building for lease each day while traveling on the White Hose Pike. 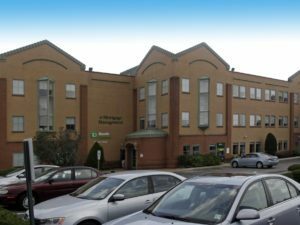 Nearly 120,000 residents live within three miles of this professional office space in South Jersey in the Grove Office Plaza at 515 Grove Street Haddon Heights NJ. For more information about this South Jersey office space for lease in the Grove Office Plaza at 515 Grove Street Haddon Heights NJ, or about any other South Jersey commercial properties for sale or lease, please contact Jason Wolf (856-857-6301; jason.wolf@wolfcre.com) at Wolf Commercial Real Estate, a premier South Jersey commercial real estate brokerage firm. The South Jersey commercial real estate market experienced an overall strong year in 2015, but ended the fourth quarter on a note of caution with a mixed bag of results that hinted at a slow-down in the market even as gradual improvement and expansion continued and bellwether companies remained active, according to the latest quarterly market report from Wolf Commercial Real Estate, a premier South Jersey commercial real estate brokerage firm with expertise in Southern New Jersey commercial real estate listings and services including South Jersey office space and South Jersey retail space. The fourth quarter’s mixed results can be traced in part to the Fed’s recent decision to raise interest rates for the first time in nearly a decade, and/or to the volatility in the financial markets. Positive news in the fourth-quarter analysis included several large leases and renewals above 40,000 SF, indications of a greater level of new construction for the first time in years, and the emergence of new investors in the market. On the downside, approximately 384,906 square feet of new leases and renewals were executed in the three counties surveyed, a decline of +/- 20 percent in comparison to the fourth quarter 2014. This slower pace of transactions was accompanied by a decrease in prospecting, with about 250,000 square feet of lease transactions in the pipeline and expected to close in the near term. Despite the decline in transactions, positive absorption in the South Jersey commercial real estate market continued, representing approximately 130,202 square feet of total activity. Vacancy rates also continued to improve. The vacancy rate in the Southern New Jersey office space market scored a major improvement over a year ago as overall vacancies continue to drop, currently down to approximately 11.6%. Average rents for Class A & B product in the South Jersey office space market maintained strong support in the range of $10.00-$14.00/sf NNN or $21.00-$25.00/sf gross for transactions completed in the fourth quarter 2015. Moderate leasing and prospect activity was reported by all of the major private owners and REITS for the fourth quarter. With Burlington County vacancies tightening up, the Southern New Jersey office space market is seeing many larger vacancy opportunities shifting toward Camden County, which is not controlled by these ownership entities. Overall vacancy in Southern New Jersey retail space in the three-county area stood at about 10.53%, a slight increase from the year before, but significant improvement from year-end 2012, when it was in the 17-18% range. Class A retail product rental rates in the South Jersey retail space market remained in the range of $30.00-$40.00/sf NNN. Although retail sales growth in our area has slowed its pace, nationwide retail sales have increased, resulting in many planned expansions and store openings in the Southern New Jersey retail space market this year and in the future. The full quarterly report on the South Jersey commercial real estate market and the Philadelphia real estate market is available upon request from Wolf Commercial Real Estate. For more information about South Jersey office space, South Jersey retail space or any South Jersey commercial properties, please contact Jason Wolf (856-857-6301; jason.wolf@wolfcre.com), Scott Seligman (856-857-6305; scott.seligman@wolfcre.com) or Christopher Henderson (856-857-6337; chris.henderson@wolfcre.com) at Wolf Commercial Real Estate, a South Jersey commercial real estate brokerage firm that specializes in Southern New Jersey commercial real estate listings and services, including Southern New Jersey office space and Southern New Jersey retail space.